Hand embroidery is a wonderful creative artwork which can be put for sale online. Hand embroidery on fabrics is not a new trend, but it is centuries old. The oldest hand embroidery fabric was found in China, which belongs to 3 century B.C. 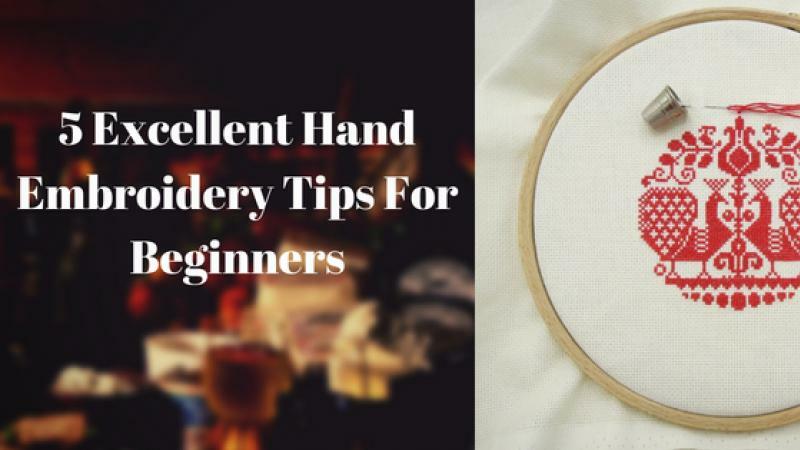 Here in this article, we will see some very helpful hand embroidery tips for beginners. To become a pro, you should follow these hand embroidery tips. Firstly, you should invest in some good quality needles, thread, and patterns. To do some nice hand embroidery, you must have all these things handy. The needle should be a thin one. If it will be thick, hand embroidery will not be neat. On the other hand, it will make holes in the fabric, which again, will make your hand embroidery look bad. There are various kinds of threads, beads, and pearls out there. Choose the material according to the demand of your pattern. Avoiding the necessity of embellishment on the fabric may result in reducing the grace of your hand embroidery. If there is a need for some pearls, beads and sparkling accessories, you must invest in it. Never use a low-quality material for your artwork. Follow a good looking pattern. The pattern should be traced finely on your fabric. The pattern should be according to the contemporary demands of the market. For handmade embroidery art, you must learn the art of organizing things first. Your materials must be organized well. Professionals always have a box which will essentially have all SOS for their hand embroidery. I still remember the needles and thread box of my mother which she used to keep away from us. Similarly, I have made one too. I am not an investor; I believe in saving money. So, I have made a DIY needles box out of a sweets metal box. It is obviously handmade and I take out my essentials when and as I need them. Basically, the reason for organizing the material like needles, thread, and pearls, etc. is their size. They must be kept separately with care. Moreover, they may hurt someone if not handled with care. Also, it will take a lot of time to find them if you lost any of your embroidery material. You can also use mason jars to store each of commodity separately if you like. You should organize fabric with great care to do embroidery. Invest in a good fabric frame for a neat and wrinkle freehand embroidery. Fabric embroidery frames are available in different sizes. They are easily available in market. Choose the correct color scheme for your hand embroidery. The color contrast for the fabric and the embroidery material should be demanding. You should understand that how color palettes affect the buyer’s eyes when you present your item for sale. Learn to criticize your own work. “Self-criticism is an art, not everyone qualified to practice”, well said by Joyce Carol Oates. If you make a correction of your work yourself, you can rule this world with hand embroidery or any art form. Know your mistakes and learn from them to get success in your career. Last hand embroidery tip, but not the least, try to sell your art. Don’t keep your work go in vain. There are many online platforms for artists to sell their art. 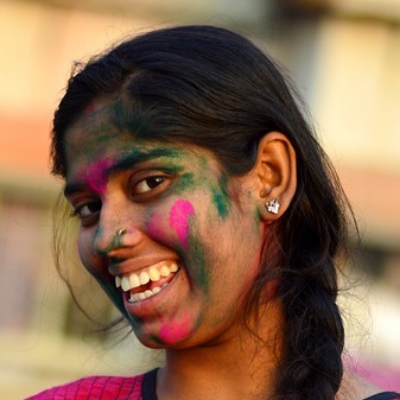 You can sell your hand embroidery online on one of such platforms, known as Showflipper. By all means, handmade embroidery is not a very difficult thing if you are interested in this art. Everyone has to learn a lot to become a pro. Since I believe that every skill needs to be appreciated, and the people who work day and night for it need to be appreciated. If you are a budding fabric artist, I hope these hand embroidery tips helped you. If you want to share such important tips for other fabric artists, let us know in comments.